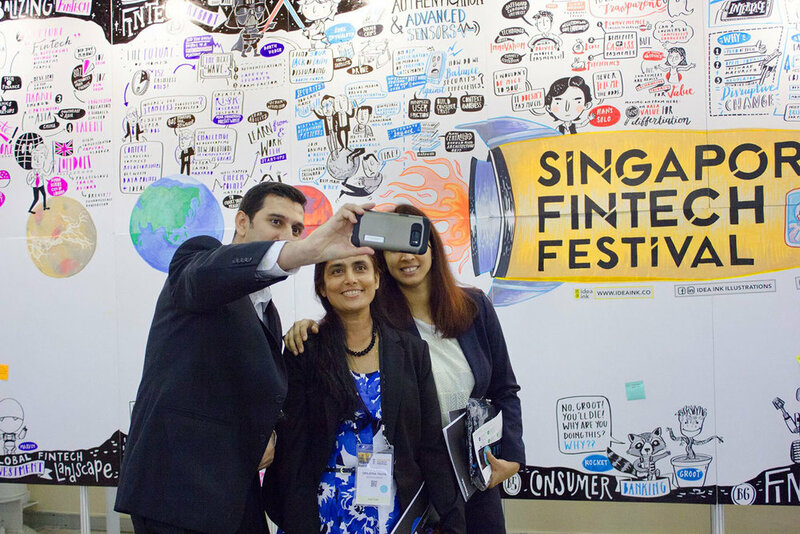 Organised by Monetary Authority of Singapore (MAS), since 2016, the world’s largest fintech festival - the Singapore FinTech Festival takes place for a week every November. 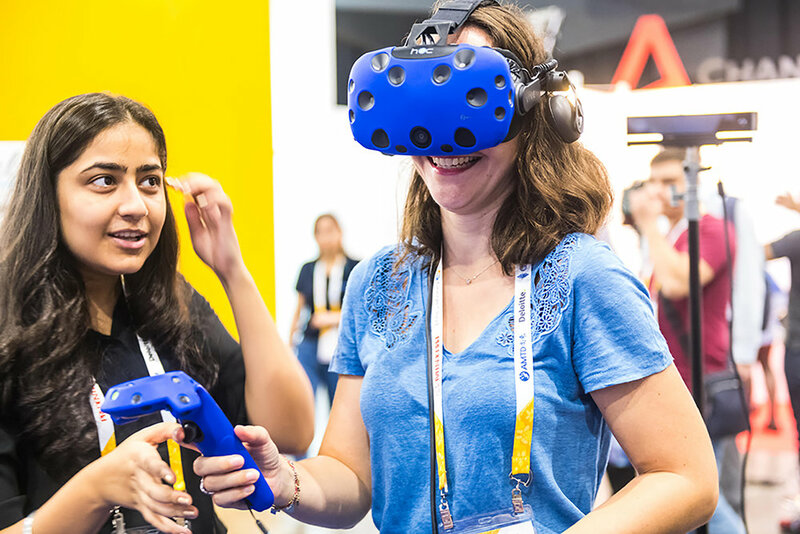 For the first 3 days of the festival, international delegates congregate at the sprawling Singapore EXPO Convention Centre to hear from world leaders and specialists about the future of financial technology: artificial intelligence, cybersecurity, financial inclusion and more. For its inaugural festival, the organisers were tasked to create a global and memorable affair. In addition to that, they had to work with the information glut which naturally came with such a large-scale festival. 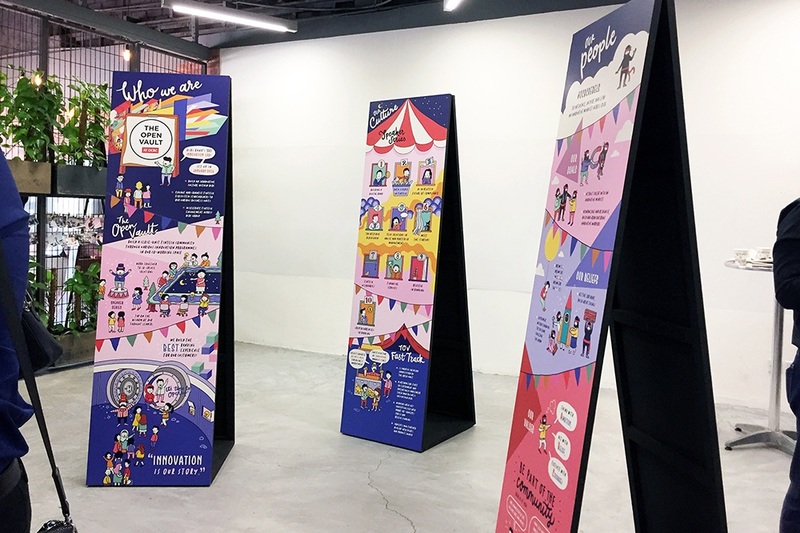 Thus, we collaborated with the organisers to design a memorable big picture for information-sharing. 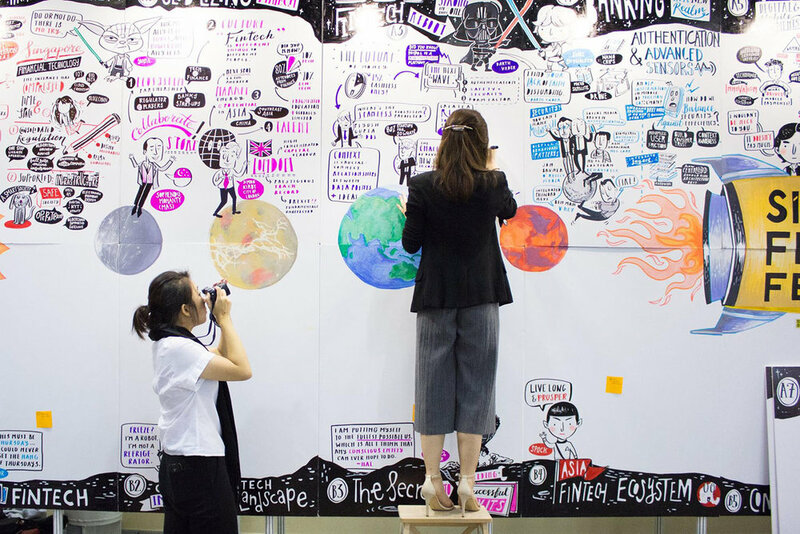 Using a rocket-launch pad visual metaphor on a 10m sketch wall, we threaded a zany science fiction theme into the event. On this wall, we then graphic recorded the festival sessions, distilling out key ideas with their context and nuance. 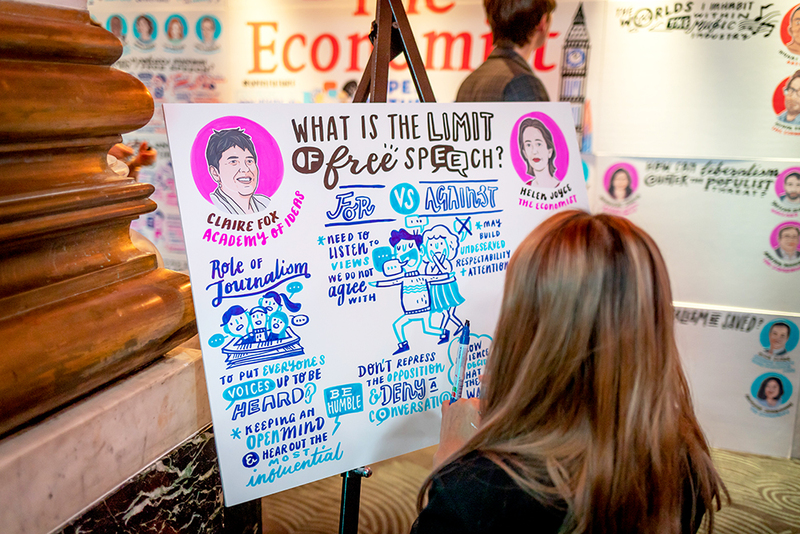 In this way, delegates were able to absorb ideas rapidly and in real-time, share them across their social media platforms and with their teams back home. Its success was evident when not only delegates flocked to take photos of the wall, but also when it became an interview backdrop for news presenters and government officers. In the 2017 edition, the festival doubled in scale to have 25,000 delegates. 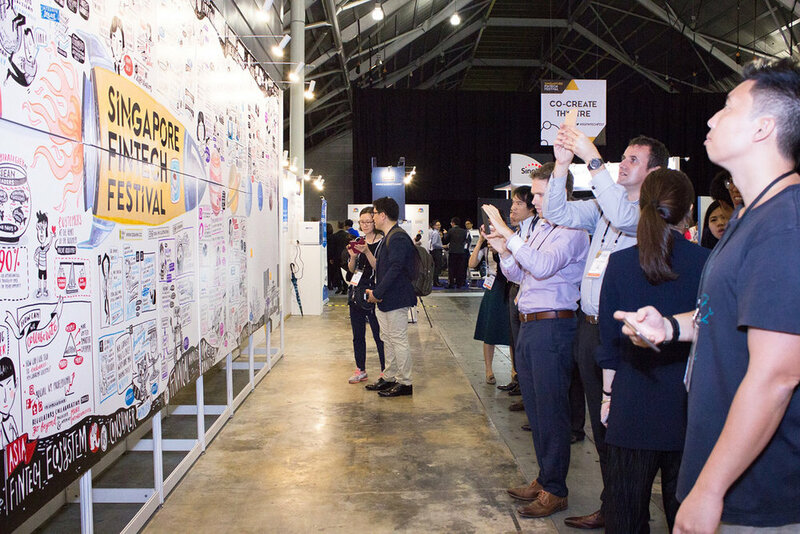 World leaders such as Queen Maxima of Netherlands, and Singapore’s deputy prime minister, Tharman Shanmugaratnam grace the festival as well. To showcase the scale and significance of the festival, we doubled our canvas size to a 20m wall and graphic recorded all 3 tracks of the festival. 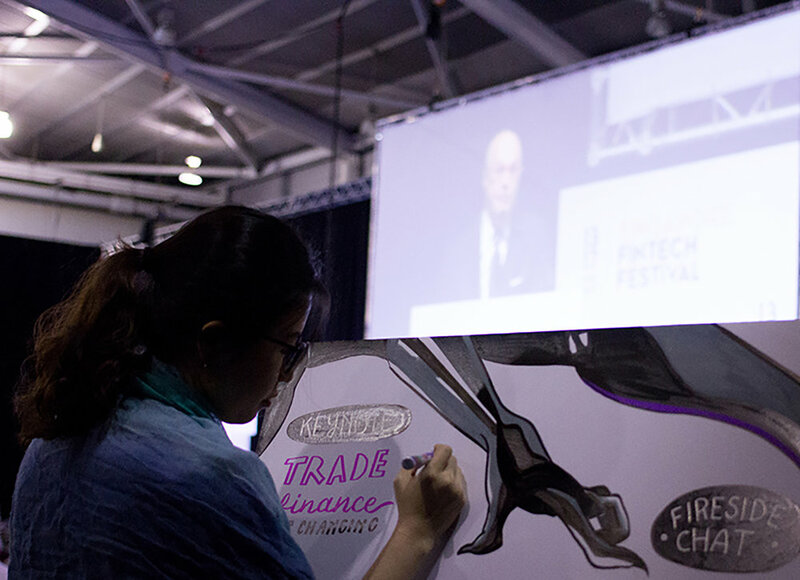 On this literal big picture, the delegates were charmed by the polished execution of the superhero-themed visual motif, nuanced insights, and lush illustrations. In the 2018 edition, the festival came back with massive scale and pace - it doubled in scale and had 5 tracks, 70 sessions across 3 days. Similarly, world leaders such as Christine Lagarde, Chairwoman of International Monetary Fund, to Prime Minister of India, Narendra Modi spoke at the festival. It was clear that an enhanced solution was needed to convey the festival’s message. 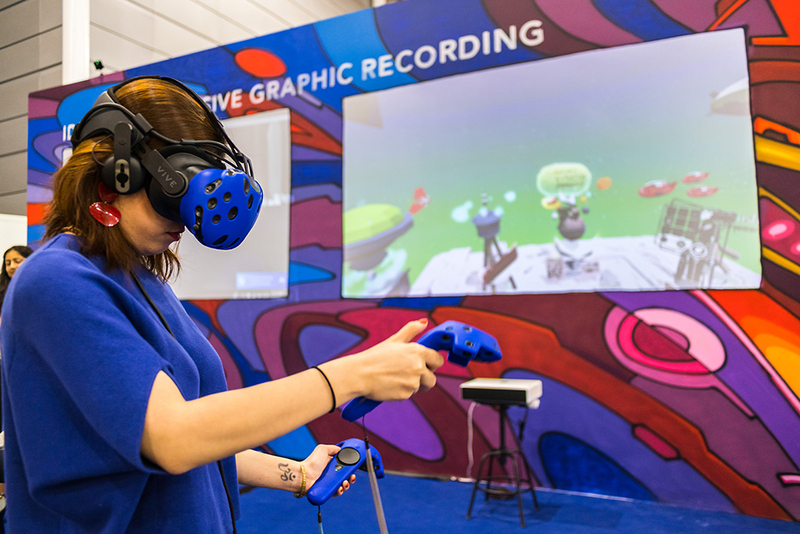 And so, apart from graphic recording the festival insights on a 20m sketch, we collaborated with the organisers to provide immersive graphic recording - a multi-sensory virtual reality experience. The latter is a first in the information design space and successfully gave the delegates a unique and curated experience of meta-insights across the entire festival. We would like to acknowledge Ignite VR, Anzca, Didier Jaba Mathieu and SingEx Exhibitions for their contributions in the 2018 edition of the sketch wall.